With just over a week before starting the 2013 MLS season, the Houston Dynamo have made a couple moves as they get closer to solidifying their roster for the start of the season. On Tuesday February 19th, the Dynamo traded Jamaican International Je-Vaughn Watson to F.C. Dallas for a second round pick in the 2015 SuperDraft. While some might think the Dynamo are getting the raw end of that deal, the trade was primarily made to open up an international roster slot for today's signing of English midfielder Andrew Driver. Driver, 25, has been playing for Heart of Midlothian F.C. in the Scottish Premier League since 2006. The Dynamo acquired Driver from Hearts on a loan deal. “It’s always exciting to add a young international player with talent and experience,” said Dynamo President Chris Canetti. “Andrew will add valuable depth to the squad at a time when we are set to face a heavy load of games between MLS and Champions League." 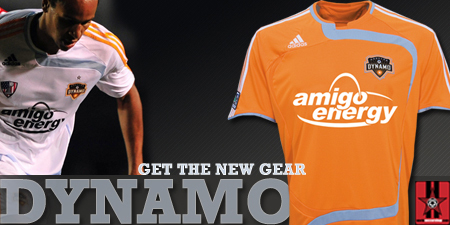 The Dynamo start the 2013 season on March 2nd, when they host D.C. United at BBVA Compass Stadium.